Fabrizio Paterlini (born in 1973) is an Italian pianist and composer from Mantua, a small and nice town in Italy, where he currently lives with his family. He released his first album for piano solo back in 2007 (Viaggi in Aeromobile) and since then, his music started to travel around the globe. After exploring the piano solo compositions with several works (Viandanze in 2008, Fragments Found in 2010, Autumn Stories in 2012 and The Art Of the Piano in 2014), he then started exploring different setup. In 2013 he released Now, his first attempt to coniugate piano with electronics (featuring the artist London DC at the synthesizers) and on May 12th 2017 he published his latest "Secret Book", his most composite album so far. Piano, strings and electronics blend together in a new and interesting formula that brings Fabrizio's music to new unexplored paths. His music has been widely used for short movies, documentaries and full movies as well. In November 2016, he founded the label Memory Recordings, trying this way to put his experience at the disposal of other musicians. Manuel Zito began playing and studying classical music at the age of five. In 2002, after listening to the Coldplay album "A rush of blood to the head" he also dedicated himself to listen and play "non-classical" music too. Parallel to the study of the piano, which will led him to the graduation at the Conservatory "S. Pietro a Majella" of Naples in 2012, he starts to play with different groups of various musical genres around Italy. In 2010, he collaborates with the PiccolaOrkestraPerPrestazioniOccasionali group. In 2014 he treads the stage of the "Meeting del mare" in Marina di Camerota (Sa), opening the Gogol Bordello's concert. In the same year he also treads the stage of the Mei in Faenza. In the meantime, he focused his attention about the study of music and audiovisuals. In 2017 he attends the Music for Film's course at the Centro Sperimentale di Cinematografia in Rome. He realizes that he has a passion for Nordic-European music that will lead him to record his first album entitled "Fernweh" at the "Sundlaugin Studio" (where artists as Sigur Ros, Damien Rice, Yann Tiersen, Bjork among others recorded their works) in Mosfellsbær (Iceland) in August 2017. Francesco Nigri was born in Fidenza (Italy) on May 27 th 1983 is an Italian composer and pianist based now in Parma, a city in northern Italy, not far from Milan. He started playing at an early age soon discovering the magical keys of his home piano. He concentrated on the meaning of music, in order to find its true essence and express this through his writing, in an intimate way. He has worked for cinema, television, radio, commercials and has taken his music to many areas either playing the piano or other projects. He's also collaborated with artists on the international scene. In 2005, his record, Scuba was released, containing some of the tracks used for commercials. His latest album, Lifestream talks of relationships people create during a lifetime. These connections are everywhere and fill the world over. Lifestream sounds like an ode to Life. Andrea Carri is an Italian composer pianist. His career started n November 2010 with his first CD called “Partire”. In April 2012 he released his new piano solo album “Stanze Segrete” (Secret Rooms). In May 2013 he realized his new work "Metamorfosi", financed by fans. Finally in September 2014 he released Chronos with the Irish label Psychonavigation. He extensively toured around Italy with several projects and had also performed around Europe as well. He will release his brand new "Shadows" album, recorded together with his friend and drummer Francesco Camminati, on MemoRec label on September 22nd, 2017. 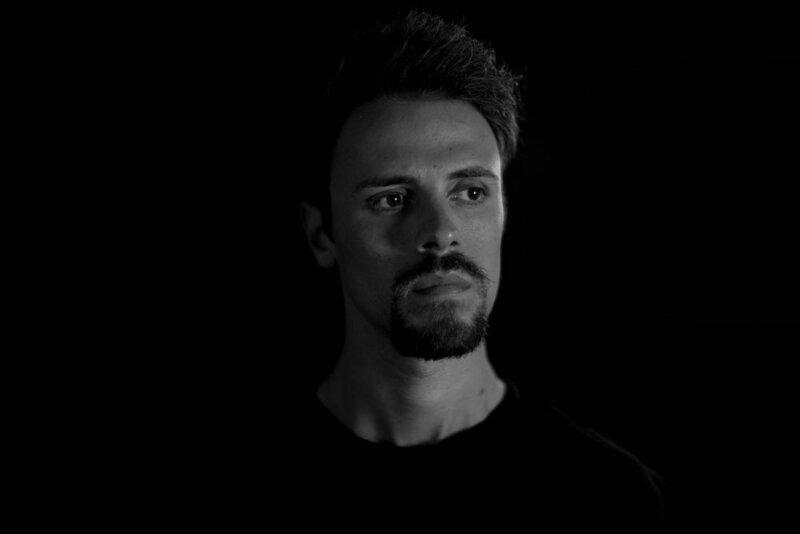 Roberto Attanasio is an Italian pianist, composer and sound engineer based in Rome. The first contact with music came from the father and his great passion for vinyl and music in general. At the age of thirteen, he started making music with the computer, exploring the immense world of synthesizers, signal processing, and new digital technologies. Thanks to a little midi keyboard the passion for the piano came along and so he attended different schools and universities to become a complete contemporary musician and composer, winning different Italian and European awards. After years of experiments, he finally chooses the piano as the lead filter of his musical ideas, composing two albums and other side projects. Pianist and composer Dominique Charpentier was born in Nîmes, southern France, in 1988. Fascinated by the piano sound since an early age, he began to play it at 8. Classical music and more precisely, romantic artists like Chopin and Schubert, were his first strong influences but the revelation about his musical path came with the notes of Yann Tiersen and later on, Ludovico Einaudi. The simple but intense melodies led him toward minimalist music. It is still the heart of his work, being focused on composing simple but true, deep emotional music that moves the listener immediately. So far he has released two piano solo album, Passages in 2016, Reminiscence in 2018, and two experimental EPs L'attente and Esquisses, in 2017. In 2016 he met director Ofir Raul Graizer and composed the soundtrack for his first feature film The Cakemaker, which was nominated at Karlovy Vary Festival, BFI London, Chicago Film Festival, Jerusalem Film Festival and many more. The movie got various awards and the music was uninanimously welcomed by the critics. We are a small records label based in mantova, italy. We'd love to hear from you! Feel free to send us questions, demos or just stop by to say hello.